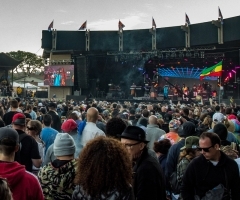 As numbing gusts of wind blew in every direction across the parking lot of San Diego’s Valley View Casino Center (formerly Sports Arena), Boomshaka Festival attendees quickly sought shelter inside on Monday February 19th, 2018. A festival on a Monday, you ask? Unorthodox, true, yet it did happen to be President’s Day – a day off for most to enjoy reggae roots at its finest. For those brave enough to brace the rare dip in southern California weather, Sandollar did a rocking job holding down the outdoor preparty leading up to the event’s 4pm start. For those not blessed with a work day off, that late afternoon kickoff was clutch! 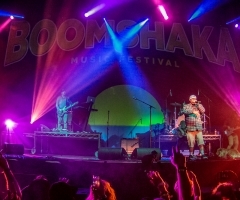 No other way to describe it – Boomshaka Fest was off the hook! Inside, reveling in the warmth, Boomshaka attendees browsed the reggae vendors who lined the concessions floor, slinging alternative clothing, band merchandise and good vibes to all. And, from the minute the doors opened, you literally could not escape the irie vibrations as roots reggae jams reverberated off the arena walls spun by event host and top San Diego DJ Carlos Culture. Up first was Aloha Radio. Although opening, this band is far from inexperienced, as their polished and electrifying set pumped everybody up for the night. 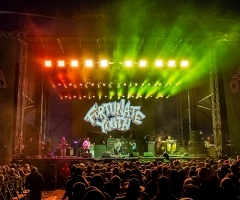 Mixing reggae with rock with ska, this quirky band is the BUSINESS. The Expanders brought roots to the forefront next, followed by HIRIE’s reggae-rock-pop fashion. Around this time, unexpected guests began arriving, such as Slightly Stoopid frontmen Kyle and Myles. It was only a matter of time before they took the stage, which came to fruition during uncle Don Carlos’ set after The Original Wailers had the whole place singing classic Bob Marley tracks. Don Carlos always delivers high-energy performances and no roots party is complete without his signature dance moves! After what seemed like no time at all, the headliners were the only ones left on the lineup and the event founders were up first. Tribal Seeds might’ve been down a member due to medical circumstances, but their talent shown through as they rocked the house as hard as ever. Last, but not least, was Stick Figure who never disappoints. Playing to a packed crowd, Stick pulled out all the bells and whistles to close down this first annual fest in style. Short and sweet, Boomshaka 1 concluded as a satiated crowd dispersed back into the real world. What a President’s Day to remember though! There was something special about how the riveting reggae performances this time around raised everyone’s spirits… the aura of the place was absolutely insane. 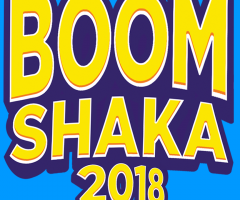 No other way to describe it – Boomshaka Fest was off the hook! Until next year (fingers crossed there will be a next year), San Diegans will ride high on the memories and hope for another round. 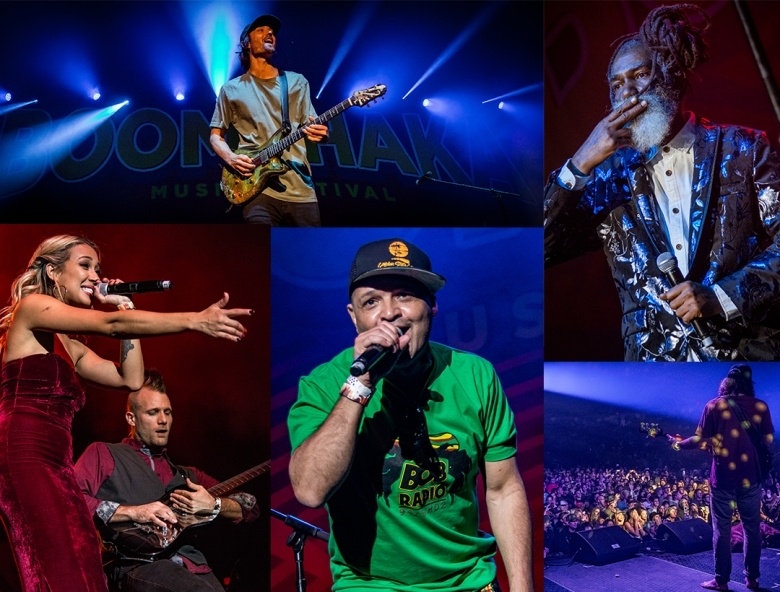 Check back soon for the complete Top Shelf Reggae Boomshaka Festival photo gallery, coming soon!